“Welcome to the Pink Collection from Barbara Cartland this is a new collection of pure romance books from the biggest selling Romantic author of all time. 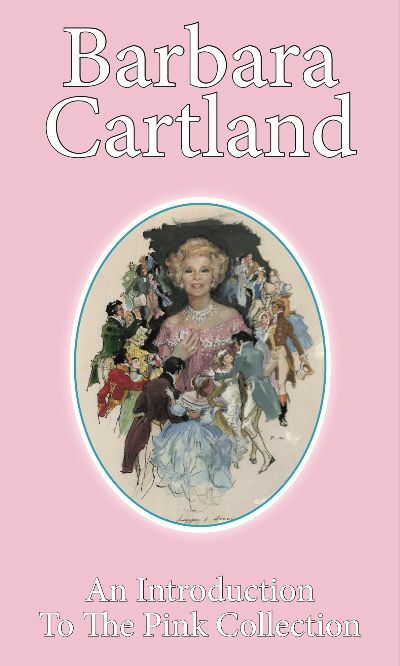 If you enjoy Downton Abbey you will love Barbara Cartland. Book One of Two The Cross Of Love When Rena’s father dies she is alone in the world, forced out of the vicarage that has been her home, with nowhere to go and no money. She seeks help at the large wooden cross standing in the nearby grounds of The Grange. And there in the earth she finds three golden coins, which she hands over to the new young Earl of Lansdale. They form a friendship, the sweetest one of her life. But her new happiness is threatened by Mr. Wyngate, a wealthy man determined to force the Earl to marry his daughter. There is something sinister about Mr. Wyngate, also another man who looks mysteriously like him, and seems to come and go without warning. In the end, one man lies dead and another’s heart is broken before Rena’s faith and courage triumph. Book Two of Two Love in the Highlands When the Balkan Prince Stanislaus demanded an English bride, Queen Victoria decided to send him Lady Lavina, whose family had a slight connection with royalty. Determined to avoid this fate, Lavina threw herself on the mercy of the Marquis of Elswick, a disagreeable man who had turned his back on the world following betrayal by the woman he had loved. Surprisingly, he agreed to help by pretending to be engaged to Lavina, and, with her father, they left to visit her relatives in Scotland. In the highlands Lavina began to find herself attracted to the Marquis. Beneath his harsh manners he had a heart a heart that perhaps she could win. But nearby was the Queen’s country home, Balmoral, and when Her Majesty arrived with Prince Stanislaus, they knew that there was still a battle to be fought. Now Lavina learned the shattering secret that was the real reason the Marquis had agreed to help her. And that secret was to threaten to take from her the man she loved. How she discovered the truth in a way that nearly cost him his life, is told in this romantic novel .